Seriously I don’t take the artist interview as a non-fiction, I doubt they’ll tell you everything(the whole true nothing but the true). Just like her answer about favorite WWWSK scenes , everytime is different. thats why i think she's good in handling interviews.. lol.. BUT.. she's not very good in her body language.. lol.. thats why PSJ and PMY have separate interviews now or someone has to be in between them or with them, just as long as its not just the two of them sitting together..
good thing.. they didnt think of that during the Cosmo event! lol! from what i can gather from her previous iv (i dont read all btw), she is the kind of person who prioritizes work over love coz she really loves her career and she works hard for it. She said she doesnt date ppl easily and if she has a crush on someone, she will not act on it if she doesnt hv time to be in relationship ..
Dont take this the wrong way chingus ofc these were all said in the past.. now we dont know what’s in her heart.. maybe she’s a changed woman now bcoz of psj..
yes PMY is always said that her last work and co-partner is the best! But they always ride together in University. if i may ask, who is JJV? “My schedule is fully packed after Healer. After one month of rest, I will have shooting abroad in China and New Zealand for three months. After that, I will do a domestic project in the 2nd half. so this article was published in february 2015..
this was when they were attending Dongguk University. In 2013, Jo In Sung had a gf. He dated an actress (I forgot the name) for many years. I was sure of 2013 because this was the time I used to ship him and SHK because of TWTWB drama but it turned out he had a gf at that time. The times he spent at University with PMY was 2006-2007. 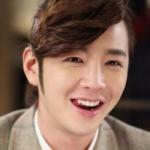 JIS is friendly with ladies he has a lot of close friends who are ladies so it may be true there was only friendship between him and PMY before. if i may ask again, from your point of view as someone who has been a fan of pmy for so many years, is she or isnt she secretly dating psj? im curious to find out about your opinion .. it’s nice to see things from different perspective..
but from her iv with entertainment weekly she said she was caught once and she did not wish for it to happen again.. (meaning she will not go public with relationship right)..
"I had dated some guys secretly but none of them was Park Seo Joon"
It is an indirect admission she dated secretly after her public break up with LMH. Wooshik deleted his newest picture, I guess becuz someone comment he is in Hawaii. The cheesecake Factory has a lot of branches everywhere but look at the cover menu, isn't it in Hawaii? i thought that interview was mistranslated... i think @twoparkcouple said that PMY never mentioned PSJs name in that interview. Wooshik deleted his picture becuz someone comment he is in Hawaii. The cheesecake Factory has a lot of branches everywhere but look at the cover menu, isn't it in Hawaii? do you have the pic? I posted this on page 617. Yes, His photo posted is in USA.I live in USA and have been go to The cheesecake Factory. The menu of the restaurant is same like every branches in USA. I do not want to tell details in public here. And I want to protect their private life. If you are wondering about this topic, Can ask me personally? You may see what you want to see, but I feel only that she didnt relax like it was in her previous projects. And later she said that she was afraid of rumors. And this cold atmosphere is so clear there. Everywhere she was so joyful with her partner but not in Secretary.. That is what I see. I hope in HPL my happy, joyful Min Young come back. Park Min Young has shared her thoughts on her rumored romance with her “What’s Wrong with Secretary Kim” co-star Park Seo Joon. On August 1, the actress sat down for interviews with multiple news outlets about her hit tvN drama “What’s Wrong with Secretary Kim.” In addition to describing her experience working on the drama, Park Min Young also responded to the recent slew of dating rumors linking her to Park Seo Joon. Park Min Young revealed that the reason she felt so stressed out by the rumors was that it had begun to affect the other actors who appeared in “What’s Wrong with Secretary Kim.” She specifically expressed her regret that her other co-stars had been forced to spend so much time addressing her rumored relationship with Park Seo Joon. yes.. thats the thing though.. shes not relaxed.. like she was careful with her actions... but there are also a lot of scenes where shes too natural.. But dont get me wrong, I do respect your opinion. i did notice some of the bts where she's a little cold.. But as I watched over and over again.. lol! (because I wanted to confirm my suspicions).. I noticed the different gestures also within the actual scenes. But i respect your opinion, since youve been a long time PMY.. but would you at least consider the possibility of them dating now?